Soho House Soiree Photo Diary: NYFW Dinner With Glam Media in The Library! My fashionable partners at Glam Media always know how to kick off New York Fashion Week with style and class. 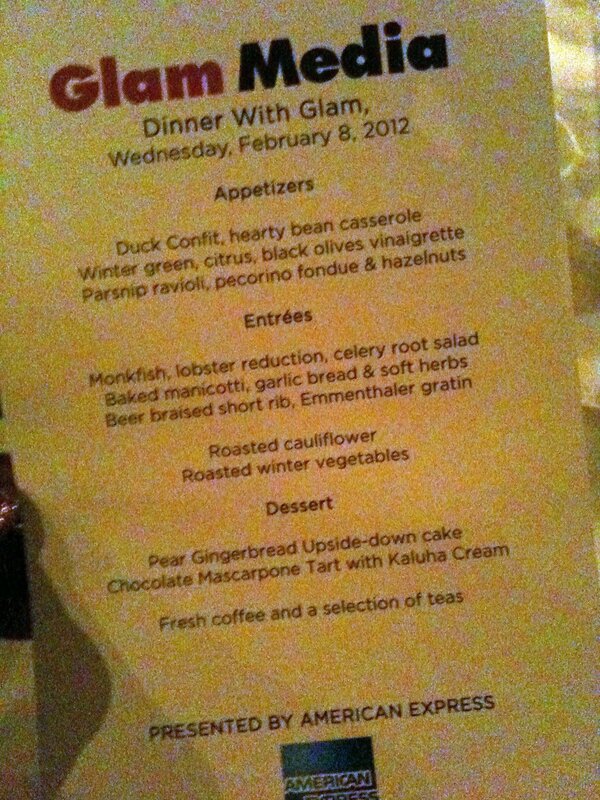 Last week they invited me along with some of my favorite blogging sisters to Dinner With Glam at Soho House. Soho House is a private and very well known members only hot spot in Manhattan’s Meatpacking District. Although Soho House is also famous for The Restaurant, The Club and The Spa, we had dinner in The Library on the 5th Floor. It was my first time experiencing The Library and it did not disappoint. Abiola with C Wonder Leopard Tote, $128.00. I wore a vintage steel colored sequinned blouse, Michael Jackson style jacket and my new JAG Jeans from Nordstrom. Earlier in the day I taped an appearance on the CW Network’s “Bill Cunningham Show” where I am a lifestyle expert so you can expect to see this look again when it airs. The alligator boots completed the look on a snowy night. Our gift leopard tote bag from C Wonder was packed with goodies including an Iman Cosmetics Lip Gloss and eye pencil, Clean & Clear Hello Kitty face blotters and Got 2 B Kinkier Double Curling Power Gel. Product reviews to follow but special thanks to Eucerin, La Roche Posay, Modella, Modern Beauty Solutions, Nivea, O.P. !., Vichy, Super by Dr. Nicholas Perricone, the Seaweed Bath Co and PMK-BNC for the fashion and beauty swag. Bloggers Channing Hargrove, Sasha-Shae Shaw, Abiola Abrams at Dinner With Glam. As far as the Soho House menu at The Library, the Duck Confit appetizer was TDF as was the Pear Gingerbread Upside Down Cake dessert and Kahlua Ice Cream. Yup, you read that right! 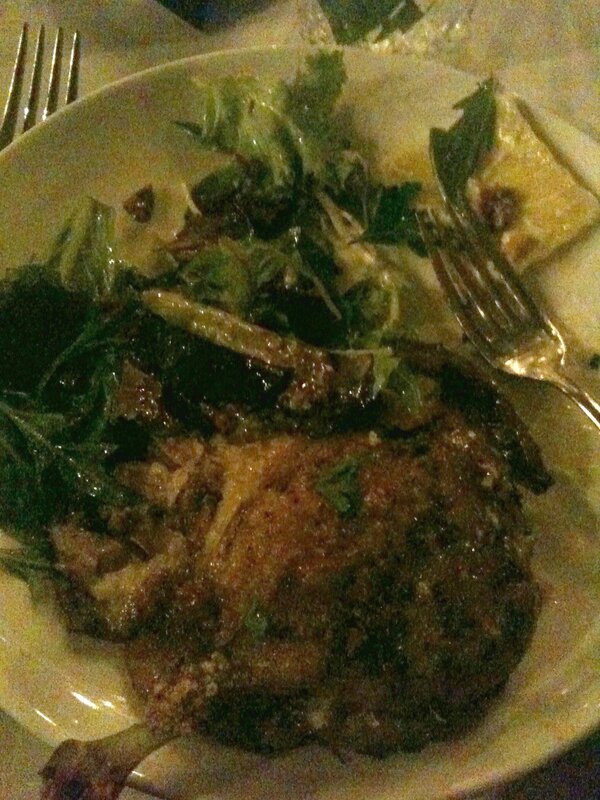 The Manocotti was also delish and I thoroughly enjoyed the Parsnip ravioli. Food is served Family Style. By the way, if you’d like to apply for Soho House membership, dues range from $1,200 to $1,800. Contact Bryan Toth for more info at [email protected]. Soho House New York is located at 29 – 35 Ninth Avenue, New York City. Call (212) 627 9800. Look how gorgeous the women at my table are! Table Four at The Soho House Library.